'Silver Rose' (Bee Warburton, R. 1984). Seedling ARV 80-48. SIB, 28" (71 cm), Midseason bloom. 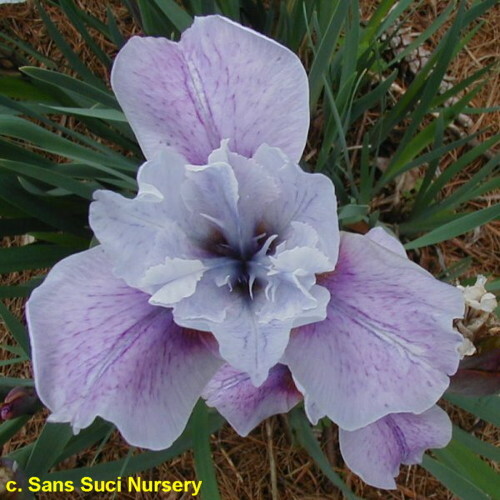 Standards pinkish white, forming a star in center with pinkish white styles; Falls mid-purple (RHS 75A/77D), harmonious signal blending to deeper rosy violet. 'Atoll' X 'Ruffled Velvet'. Warburton 1985.